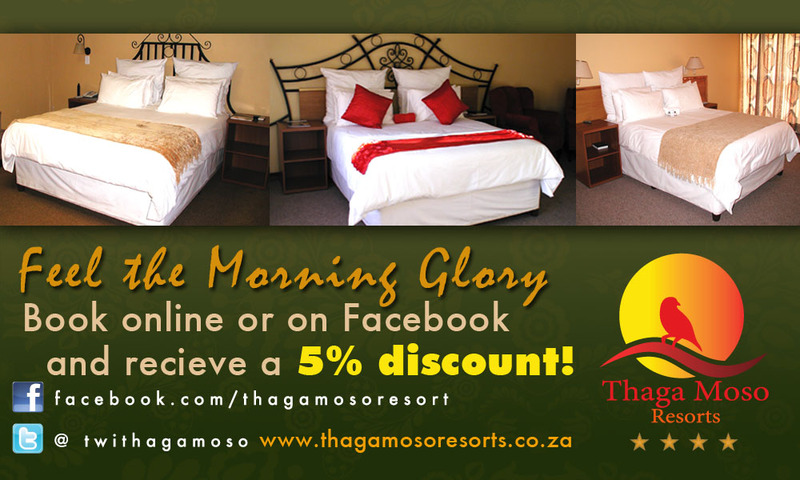 Thagamoso resort is one of the best established and well-known resorts of Zeerust in the North West Province. Located below the mountain 2km away , with beautiful views and tranquillity surrounding it, Thagamoso resort offers an exclusive and secluded enclave of impeccable style and world class resort accommodation and conference facilities. It was previously known as Abjaterskop hotel and Karans hotel. Location of the Hotel: It is 1.5 km from the town, Zeerust and approximately 120 km from the Botswana Border (Kopfontein). The Zeerust Road (N4) is also passing through Zeerust to Lobatsi (the Schilpadsnek Border post) which is 65 km from Zeerust. Our conference facility accommodates up to 500 delegates and it is equipped with air conditioning, projector, flip charts and notepads. The Thagamoso dining hall area accommodates up 150 delegates and offers breakfast, lunch and buffet dinners to its guest and every other person who wants to have the best meals in town. Help command higher retransmission Cheap NFL Jerseys marquee eatatozzis.com clear ( look at the green McIlroy made 3 night ) led 32 after one even though curry sports.